Over time the skin can become dull, lacklustre and lifeless. 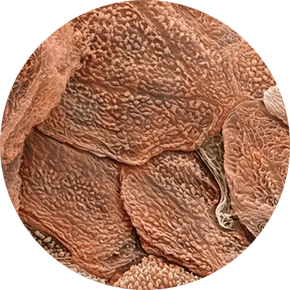 This is often caused by the slowing down of the skin’s natural desquamation (shedding) process and exacerbated by daily environmental stressors that result in the build-up of surface debris. What causes skin to become dull and lucklustre in appearance? 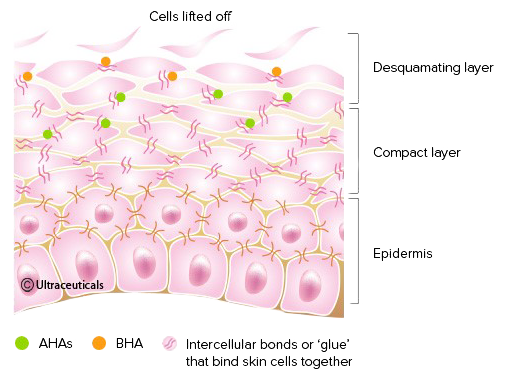 Skin dullness is caused by uneven texture and buildup of debris on the skin, which then influences the way that light is reflected off the skin surface. 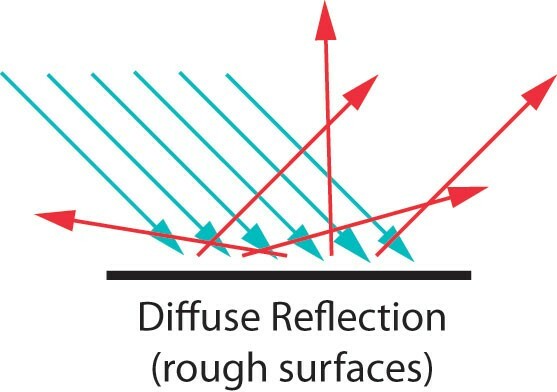 This is known as diffuse reflection. Due to the unevenness and surface build up, light is scattered in all directions away from the skin’s surface. To achieve a glowing, luminous complexion, regular exfoliation of surface cells and debris is needed to help minimise build up that makes skin texture appear uneven, dull and lifeless. The luminosity is caused by specular reflection. 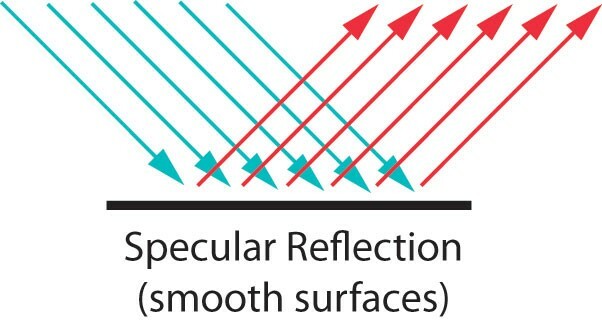 Specular reflection (see below) is the mirror-like reflection of light from a surface, in which light from a single incoming direction (a ray) is reflected into a single outgoing direction. Cleanse your skin regularly, morning and night to remove traces of make-up, impurities, dead skin cells, and excess oil that may be present on the skin. Exfoliate regularly to promote healthy desquamation (cell turnover), and keep your complexion healthy and glowing. There are two methods of exfoliating – physical exfoliation using a scrub, or chemical exfoliation, which works by dissolving the “glue” between the cells, causing them to slough away. 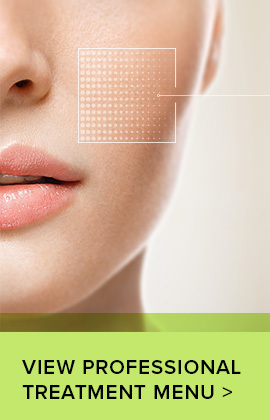 Book in for a consultation at your local Ultraceuticals clinic. A skin technician will thoroughly examine your skin and create a customised homecare and treatment plan to achieve your skincare goals. Physical exfoliates are products which contain ‘beads’ or particles that buff away dead skin cells as they move against the skin while applying to your face. Chemical exfoliation uses enzymes or alpha and beta hydroxy acids such as lactic and salicylic acid to break down the bonds between the skin cells. The type of exfoliation that will work best for you depends on your skin type and your personal preference. How does chemical exfoliation work? AHAs (Citric & Lactic Acid) exfoliate the skin by softening the skin's intercellular bonds that bind dead cells together with in compact layer of the skin. BHA (Salicylic Acid) work to dissolve dead skin cells, clarify the complexion and decongest skin on the surface (desquamating layer). 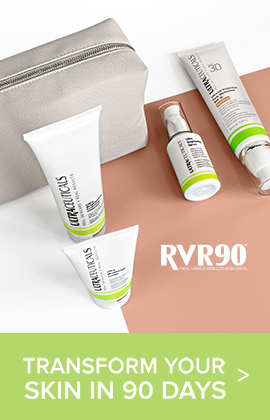 Each product in the Ultra Even Skintone Range contains varying levels of powerful ingredients, including alpha and beta hydroxy acids, bearberry extract, and Vitamin B3 (niacinamide) to dramatically resurface and brighten the skin tone, resulting in a more refined and clearer complexion. Both AHAs and BHA are well documented for their outstanding exfoliating and skin hydrating abilities. The use of AHAs in skin care dates back to ancient Egyptian times with Cleopatra bathing in milk to soften her skin and the ancient Romans were also reported to use wine grapes for the same purpose. 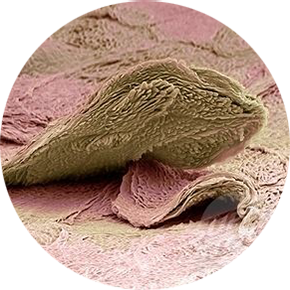 Modern cosmetic products utilise commercially fermented or synthetic sources. To help refine skin texture, citric (found in lemons and oranges) and lactic acids (found in sour milk) exfoliate the skin by softening the intercellular bonds that bind dead cells together. Studies have also shown that AHAs are also powerful moisturisers. Salicylic acid (a BHA found in Willow Bark) works to dissolve dead skin cells, clarify the complexion and decongest skin. Niacinamide and bearberry extract are well-known skin brightening ingredients that work synergistically with AHAs and BHA to further enhance skin luminosity and radiance. The Ultra Even Skintone Serum range has been formulated as a stepped strength system to enable skin to be conditioned prior to progressing to higher levels of the active ingredients. Even Skintone Serum Mild is recommended for first-time users of AHAs & BHAs. Even Skintone Serum is recommended for skin pre-conditioned with Even Skintone Serum Mild. Even Skintone Serum Concentrate is recommended for skin pre-conditioned with Even Skintone Serum.